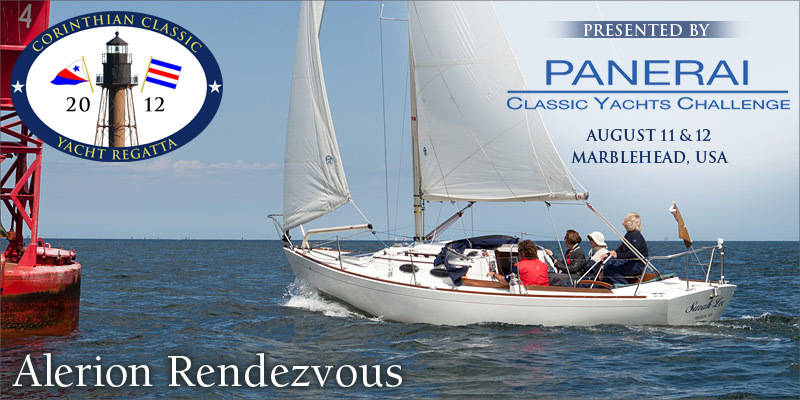 The Corinthian Classic Yacht Regatta presented by Officine Panerai (www.panerai.com), is proud to announce that this year's featured yachts are those designed by Herresoff. Yachts from the "Golden Age of Sail" such as the line of NY designs, Classic GRP/Fiberglass, and Spirit of Tradition yachts such as the Alerions' have already entered. Halsey C. Herreshoff will be the distinguished speaker at Saturday evening's dinner August 11th. This a rare opportunity for Alerion owners to gather and sail your boats in a Corinthian spirit while participating in toasting the Herreshoff name and lineage. We urge you now to enter this event or just plan to make dinner reservations for what will certainly be a fascinating and entertaining evening with Halsey. Last years' event honoring Ted Hood was sold out.